Connect with a seminary that is GLOBAL, PERSONAL and HORIZONAL. CENTRAL Wisconsin seminary site is a partnership of the Central Baptist Theological Seminary and the American Baptist Churches of Wisconsin, with key support from Housing Ministries of American Baptists in Wisconsin. If you’d like to find out more about the seminary and how to apply, please visit apply.cbts.edu. 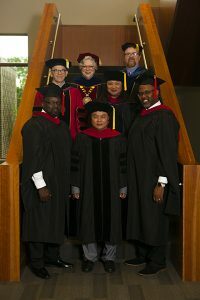 For more general information about the seminary, including a description of degree programs, please visit cbts.edu. HISTORY: CENTRAL Wisconsin seminary site began in 2005 as a response to a perceived need for accredited theological education from a Baptist perspective in the Milwaukee/SE Wisconsin region. In partnership with Central Baptist Theological Seminary in Shawnee, Kansas, American Baptist Churches of Wisconsin established a seminary site housed in the region offices, offering classes on a weekend schedule to accommodate working students. Providential relationships, most prominently Housing Ministries, and strategic partnerships built upon these humble beginnings to the point that in 2009-2010 the site gained full “degree-granting” status from the accrediting agencies. This status meant that students could take the full curriculum from skilled local faculty who also happen to be ministerial practitioners in the area – all from the Region offices in Elm Grove. In May 2018, we graduated our 9th class bringing the total number of alumni to 29. Graduates have served and are serving in a variety of ministry positions: Pastor, Minister, Christian Education Minister, Men’s Ministry Coordinator, National Park Ministry Chaplain, Hospital Chaplain, Vacation Bible School Curriculum Writer, and Early Childhood Educator. The M.Div. curri culum for CBTS has undergone a significant change as the seminary tries to be more nimble and responsive in training ministers to serve in an increasingly complex world. Students now have the option of taking courses remotely alongside students from around the country and the world, utilizing current technologies. Nevertheless, ministry – and especially ministerial training – is fundamentally a personal and local exercise. So the site will continue providing support to local students who take advantage of these offerings through student services, grants, and contextual learning opportunities. We will also be offering the new curriculum onsite for students wishing to begin their theological education in a traditional face-to-face format. For more information on seminary programs and the process of application, visit apply.cbts.edu . As the seminary site is housed in and run through the Region office, several opportunities for theological education, even apart from the degree track, are opening up on the horizon for American Baptist Churches of Wisconsin. The ABC/WI Region considers this relationship to be a great asset and benefit, allowing opportunities for Continuing Education of ministers, lay ministerial training, one day seminars, as well as other opportunities as yet unconceived. Rev. 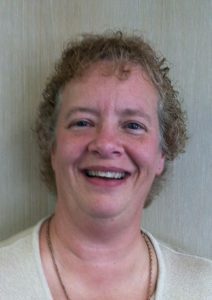 Dr. Molly Marshall blogs about her visit as Preacher to the ABC/WI 2016 Annual Gathering, where several CENTRAL Wisconsin alumni had a strong showing. Click on photo above.